Homepage Mobile Phones Samsung Samsung Galaxy A6 and A6 Plus announced! Samsung Galaxy A6 and A6 Plus announced! Samsung is the leader in the smartphone industry, and we all already know how good the Galaxy S9 is. The company is present in every aspect of it, and everyone can enjoy in some of their smartphones, depending on your budget. 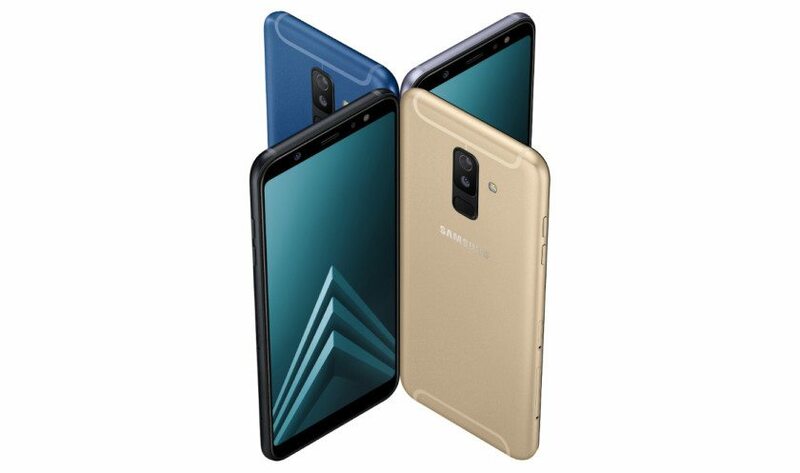 Now, their midrange market has been upgraded with the release of the Samsung Galaxy A6 and A6 Plus. On first look, they’re bringing a lot of the feature the S9 has in a more affordable package. But let’s not waste any more time and see all the details about these devices! Starting with the design, we can see that Samsung is still sticking on to the tried aluminum build. This is probably the only series from the company to feature an all metal build, and we’re wishing to make an appearance in the lower series. Beginning with the front, the regular Galaxy A6 features a 5.6” Super AMOLED display with 720 x 1480 resolution. The bigger Galaxy A6 Plus features a 6” display, also Super AMOLED, with 1080 x 2220 resolution. Both devices have 18.5:9 aspect ratio, a feature borrowed from the Galaxy S9. Rotating to the back, we can see the camera setup in the middle, with the fingerprint sensor right under it. So, they’re in the same style as on the Galaxy S9, meaning that Samsung is sticking to their looks. On the performance side, we were not expecting anything bad from these series, and Samsung proved it again. Starting with the regular Galaxy A6, the device features an octa-core 1.6GHz processor. It is accompanied by 3 or 4GB of RAM and 32 or 64GB of internal storage, respectively. The battery inside the device is a standard 3000mAh one, which should last you through a full day of use. Switching over to the A6 Plus, the processor is also an octa-core, but bumped up to 1.8GHz. Memory wise, you’re getting the same options – 3 or 4GB with 32 or 64GB, respectively. The battery is the last thing being increased up to 3500mAh. Therefore, it should last you even more. Going over to the cameras, both devices are equipped well, with the A6 Plus being the better choice. Let’s start with the regular Galaxy A6 first – the device features a single 16MP shooter on the back. It has f/1.7 aperture, and it should take pretty good pictures. On the front, the device is also equipped with a 16MP shooter, but it has f/1.9 aperture. Going over to the A6 Plus, on the back you will find a combo of a 16MP + 5MP lenses. The second lens is for refocusing and getting the famous portrait mode. On the front, the camera is increased to 24MP, an even better option for all of your selfies or video calls. Finishing with the software, both devices should be shipping with Android Oreo out of the box. Therefore, we’re for sure going to see Samsung’s own skin on top of it, and it is quite better now. It packs many useful features and implementations. Unfortunately, pricing is still not available for both the Galaxy A6 and the A6 Plus. We’re expecting the devices to be available for purchase in the upcoming months, starting in Europe. So, what are your thoughts on the Galaxy A6 and A6 Plus? Share them in the comments below. Previous article Previous post: Nokia X rumors! Next article Next post: Honor 7A released!